Tickets are sold ONLY via online service provider www.lippu.fi. No pre-order of tickets available. From their web pages you can find service in English, Swedish and Russian. Please note! 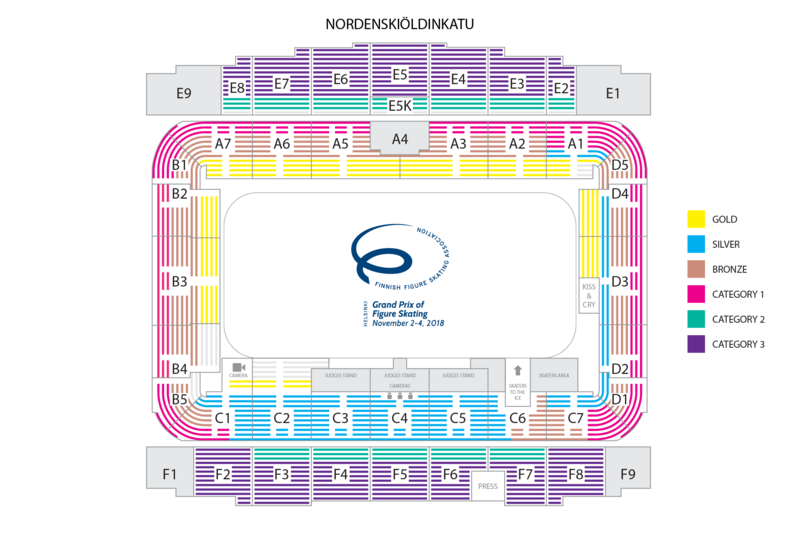 After single event tickets coming on sale, All Event tickets are only available via Lippu.fi telephone service. There are six different all-event ticket packages based on the seat location at the ice rink. Huom! Yksittäislippujen tullessa myyntiin 12.9. All Event -lippupaketit ovat saatavissa vain Lippu.fi:n puhelinmyynnin kautta. 100€ (Kat3), 200€ (Kat2), 230€ (Kat3), 275€ (AE Bronze), 300€ (AE SIlver) ja 350€ (AE Gold).